I just happened upon your blog today. What a treat it is. Love your style. Happy Birthday to you!! I saw your finished item over on Ravelry. The Rug Hooking caught my eye. I look forward to following your blog. I hope to see more "hooking". Glad I found you. Happy Birthday! 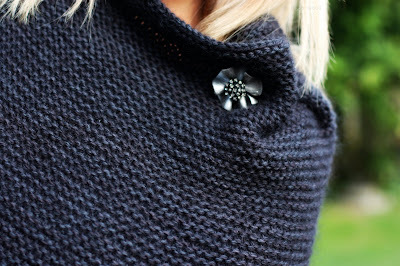 Your Shadow, brooch and fingerless mitts are lovely ~ perfect for fall. Well, each of the creations you've shown is so lovely. It is a great pleasure to visit your site and see what you'be been up to. How could you possibly bear to give away that increcible hooked bag? You must be a very generous lady! Cheers from a fellow Virgo. And your rug is quite pretty. gorgeous gorgeous work, as always!! I love seeing the beautiful items you make. The colors are so dark and rich. And very inspiring. Happy Birthday! I hope it is a wonderful one with many more to come! Thank you for for letting us have an opportunity for a birthday gift for your birthday. New to your blog Love your new brooch and wrap! Enjoy your Birthday! Such an awesome bag! When I first saw it I thought it was Be Sweet Bag. I'm totally gobsmacked! Happy early birthday. you know I always lurk...that bag is gorgeous but so is the wrap. I always lust after your projects...come visit soon and bring the girls. so beautiful, t...so looking forward to cooler temps and cuddly knits...sigh..
What a gorgeous work of art your bag is. You are so generous to give it away! Shadow is gorgeous! I've already downloaded the pattern... pondering yarn possibilities. Thanks! There is really nothing better than a cozy shawl to wrap up in on the chilly autumn nights. And shouldn't we be giving you presents??? Oh, that bag is so beautiful! That is a generous gift, indeed! 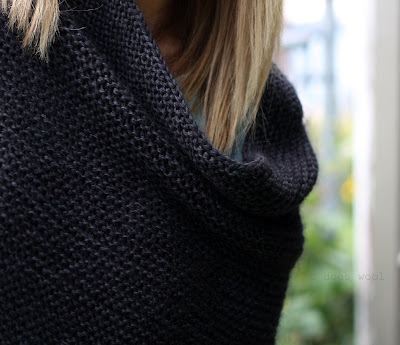 And that Shadow has just made it onto the top of my fall knitting list- so classy and cute! The brooch is perfect for that lovely wrap. I cannot believe you are giving away that amazing bag. It is so gorgeous! I never knew I needed a hooked bag until now. Swoon! Happy Birthday! That's a lovely bag and you are indeed very generous to give it away. Happy Birthday for the 4th! Your photos are always a feast for the eyes and though I can't knit for toffee, I love following your blog. Your Tennesee Posy bag is gorgeous, of course! Shadow and the mitts look wonderful and snuggly and glad to hear you had a lovely break. I love shadow, the yarn looks cosy. Also the gloves. I was looking at all the new Rowan yarns in the store the other day and they are lovely. Sending you love and a hug for you birthday on th e4th. I hope you get spoilt! The bag is gorgeous. Is it your design? happy birthday! we share our birthday, how fun. i love all your finished projects! Can't resist a rhyme, this time. A wonderful birthday present. Am pleased the vacation was good and sees you ready for anything now. 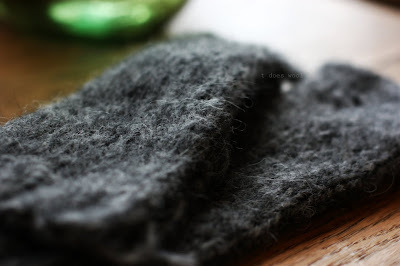 Look forward to the pattern for fingerless mittens - think I may just need some this coming winter. I really love your pictures... It's fantastic!!! Happy Birthday! Love your Shadow...and really love the hooked bag...the colors are fabulous! Oh Wow...are you really giving away that fabulous bag? I want to play. It really is beautiful. How do you knit so fast? It still seems to take me ages. My mum made me and my 3 little ones some fairisle fingerless gloves, which we adore. I can't wait to try to make some, I've seen the prettiest burnt orange wool. 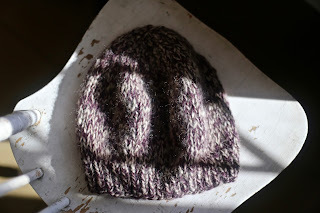 I'm off to a knit show next week and am really inspired by your shadow. I'll keep you in mind. Love your broach. Glad you had a good holiday. A hooked bag filled with a treat or two seems like a surprise bag. And we all love surprises . . . Somewhere in ourselves there is a little child hiding, waiting for suprises and the unexpected little happenings in life that is good. Enjoy your birthday on the 4th. I would love to present you with a little bunch of blushing brides (a white flower with a pinkish blush growing only in the mountains)in the Western Cape and seen this time of the year. well Happy Birthday! My sister's is also early September. The bag is lovely and the wrap looks wonderfully warm. Love the color! whoa, that is a beautiful bag, T! happy birthday! Your shadowbox is lovely. As is your bag. Hope you have a lovely birthday and what a generous giveaway. The bag looks lovely. Love the brooch too, it goes so well with 'Shadow'. my mother makes beautiful hooked rugs and taught me too. the bag is great! if i win it, i'd probably gift it to her. 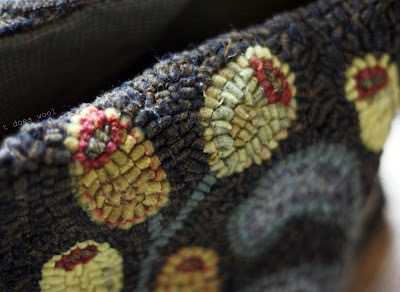 you have inspired a post for woolnest, mom's rugs in my home and your giveaway. i'll try to get it together by your birthday! Hi T~I Love the wrap, what pattern is it? I'll dig around, you probably have the info here somewhere. The bag is just lovely too! Have a wonderful birthday, Friday Birthday's are the best! Your bag is delightful- a perfect mix of shades. Wishing you many happy returns for Friday. Happy upcoming birthday, sweet t! And wow, what an amazing and generous prize you're offering! That bag is simply stunning. And if it wasn't for the fact that I won your last lovely giveaway, I'd be putting my name in the hat and crossing my fingers double-tight. But, no, it's someone else's turn, so please leave me out. What a beautiful thing to do - gifting to others on your birthday! I love that so much. That beautiful hooked bag - I cannot believe you would give away such a precious thing. I can't even imagine owning it. But I hope I do! Happy birthday to you, T.
Thanks for such a wonderful blog. What a very generous spirit you have. Hope you have a wonderful birthday and the upcomming year be all that you hope for. oh my goodness -- how generous, how lovely .... please enter me! And yes, it is shocking ... I'm at 7500 feet (2286 meters) to escape the heat at my house .... but the leaves are starting to turn! Happy Birth Week! Gorgeous work as usual :o) All my love !See you Friday! Shadow is beautiful, and so is that bag. Count me in. I relish the spare and thoughtful use of words that frames your beautiful work. Happy Birthday! and thank you. I couldn't agree more. A clear conscience and healthy thoughts is the path to peace. Your shadow is also fab - particularly like it with the brooch! Absolutely beautiful hooked bag. Happy Birthday! Love the wrap, but that bag... *swoon*! A lady of many talents, beautiful piece of knitting and that brooch is simply PERFECT! The hooked bag is way to pretty to giveaway, but you are VERY generous and our friendship is the perfect gift. Happy birthday, Theresa. That bag is absolutely beautiful. I agree with all those who know you well. You are a very generous and talented person. May your birthday be as special as you are. Is there nothing you do - and do well?? The bag is a work of art! everything is superb! you have a way with words just as the stitches you put together to create such a beautiful piece. I will sing a birthday song to you in my heart tomorrow! Have a tight hug! Happy Birthday early! That sweater or wrap - is gorgeous! I love miles of garter! Perfection!! i LOVE your shadow. it's brilliant and i've already added to my queue. what a beautiful bag!! happy birthday! Wow, this is so lovely! Maybe I should look into rug hooking! How could you possibly bear to part with such a beautiful bag. Oh that I were that lucky (and talented for that matter!). Have a happy birthday too! Oh, I have been looking so forward to seeing your Shadow! I'm so glad the vacation went well, too. And I can't believe you're finally turning 22, just like me! ;) Happy, happy day on Friday - I hope you have plans as special as you! I love your shadow!! I think I need to make something like it for winter, for nursing! And what a generous offer, to give away a beautiful bag for YOUR birthday! Hi, Theresa! How did I not realize that you had a blog (and a gorgeous one at that)! You are one of my Flickr faves :) So glad I happened to find you here! Wishing you a wonderfully happy upcoming birthday, friend! Happy Birthday!! I hope that you were able to do something fun!!! Your rug hooking bag turned out great. A very happy birthday to you. Your projects all have a certain quality to them - I love them all. Happy birthday - I love the idea of giving others a gift to celebrate your arrival on earth. Love the wrap thingy it looks so snuggly, have queued it myself now. The hooked bag is lovely, very bohemian. I would love it should I win. Happy Birthday, sweet T! I hope it's fantastic. Your bag is gorgeous, of course, as is everything you do. I am glad you had a memorable vacation..it sounds like you had time to refresh and have fun with the fam. So your bday is on sept.4th? I hope you have wonderful day with your loved ones Theresa. That bag is absolutely stunning.You are a fiber artist godess..wow! I can't believe you, you are such a remarkable woman so kind, unpretentious and unselfish. You are a truly a gem T.
I am honored to call you friend. Happy Birthday! The bag is amazing, and I would love to be so lucky as to "win". I love your "works", the wrap with the brooch is quite stunning! The bag is simply amazing, you are a true artisan. How amazing to share it on your birthday. I love this bag! How could you possibly give it away? Have you made more? I would truely cherish it. A very happy birthday to you. Your bag is lovely, and a very generous offering. What a gorgeous bag! I would be so incredibly proud to carry such a bag. Hope you have a lovely bday! We ARE shaped by our thoughts. You're so right - and Buddha gets a nod, too! Happy birthday! What a nice way to celebrate - with a lovely giveaway! My SIL's bday is on the 5th. I have two unfinished hooking projects and seeing your bag makes me want to pick up and finish up what I have. Its lovely as is your Shadow. Happy Birthday! The bag is gorgeous...pick me! Great Job I love the collar look. Happy belated Birthday! Happy Birthday! The bag is gorgeous. I love the color combo. Happy Birthday! I love your blog. I came by to see your lovely Shadow box and I love your rug hooked bag. What a lovely, fabulous bag. I keep wanting to try rug hooking... I hope you have the most wonderful birthday. Happy Birthday Theresa. So glad you had a wonderful vacation. We are on ours now and the weather has been beautiful. We will come home rested and ready to start the school year and new jobs. Oh, I can't wait. Hope I made it in your giveaway..if not...that's okay too. Have a wonderful day! oh this is beautiful!!! !please put my name in the hat! The bag is simply beautiful and I love just love your blog, though I've only lurked until now. Happy Birthday and what a wonderful gesture. Happiest of birthdays to you! May this day and the year to come be rich and full. I love your blog and have been so inspired by it. Thank you for the gifts you give through your knitting, photographs and writing. Happy Birthday to You, T! we just returned home from a short vacation so i'm catching up. so glad you enjoyed your travels - it's so important to get away and refresh. your shadow is gorgeous! i printed out the pattern the last time you posted about it and picked out a yummy charcoal yarn (imitation is the finest form of flattery, no?) your hooked bag is amazing - a true work of art! what a generous gift - may your generosity come back to you tenfold throughout this coming year. I would be thrilled to wear your bag...just lovely. hello there my dear friend! wishing you a magical birthday. This offer to give away your creation, truly speaks with a loud booming voice as to who you are. I don't know of many people who would offer to give away something on a day that is set aside to receive. Of course I would love to carry this part of you over my shoulder on a daily basis...if not, that's okay...your friendship is a gift that I will treasure always. Happy birthday from a fellow Virgo (9/15) and as hard as I find it to believe that you would give away this fabulous work of art, I would proudly put it to good use. I love this purse! 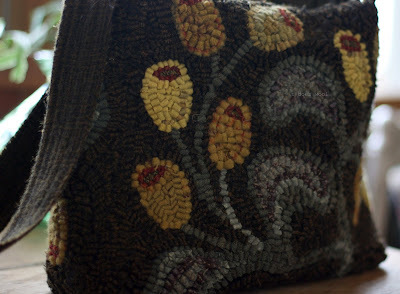 I just started rug hooking a few months ago and I never realized that a purse could be made. Did you design the pattern? A Happy Birthday to you !!! Such a great idea to inorporate this in a bag ! oh, wow. would I put that to good use! Happy Birthday! I would love to win this bag. It is lovely, as is your blog. I love your hooked bag! Inspires me to go back to hooking. Happy Birthday! I enjoy visiting your blog to see your creative endeavors. The new shawl is lovely, as is the hooked bag. Thanks for your generosity. Happy Birthday for the 4th! Hope it was wonderful. I hope your birthday weekend is a great one. Your shadow is lovely the pin is perfect with it. Thank you for the opportunity to be in the drawing for the hooked bag, it is exquisite. I have linked to the giveaway on my blog. Have a lovely birthday! What a beautiful wrap, and a gorgeous hooked bag. Wow! I love that Shadow! And your hooked bag is gorgeous! Shadow is lovely, it looks so cozy and wonderful. And the bag, oh my! So gorgeous! Both your Shadow and the bag are so beautiful. I had somehow missed Shadow before, thank you for bringing it to my attention. Belated birthday wishes to you, I hope your day was everything you wished it to be. I just found your blog today. Such lovely photography and wonderful knitting. Happy Birthday! What a gorgeous bag. And happy belated birthday. What a beautiful bag! Happy Birthday! Happy belated birthday! How inspiring this bag is. A Work of art. Would love to be entered, my name is Catherine. And my email is artcat82 at yahoo dot com. I love your work, and had been visiting your blog lately wondering when you would come back! 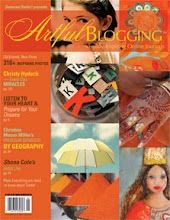 I have a link to your site on my blog, OF COURSE! Your Shadow looks gorgeous so does your hooked bag! You are just too generous! Happy Belated birthday. Love your blog and LOVE this bag! okay i feel lousy about a 'give away' being my first comment here ... but i have to say that's a gorgeous bag. and i like your Shadow, and i've admired your work on Flickr and i wish you a belated happy birthday. This is a really beautiful bag, and perfect for a chic Fall (shouldn't they all be?). birthdays are such a splendid thing! hope your was well enjoyed! that wrap is lovely. looks like it would work nicely for a mama and baby in a baby wrap. Oh and that bag what a sight. I would give away all my bags for that One it sure is lovely. and I love the hat for fun on your raverly account! It's possible to have the pattern? happy belated! i hope i'm not too late b/c i think the bag is perfect for fall. This is the first time for me. Visited your blog never before. I'm to late for your birthday, sorry. Hope you had a wonderful day! With lots of gifts, cake and yarn! What more appropriate thing to say that Happy (belated) Birthday! What is the technique you used to make the bag? I am not familiar with it. Happy birthday! And may next year be exciting and inspiring and full of nice surprises along the way! And I forgot to wish you a Happy Belated Birthday! thank you for the inspiration, again! I have just discovered your blog. What gorgeousness! And you are so very generous on your birthday. Happy Belated Birthday from another Virgo. Hope you had a fab birthday Theresa! Oh, oh I'm late for birthday wishes - Happy, Happy Birthday!!!! Hope it was a fabulous one. LOVE your shadow. Lovely knitting! Can't wait to see...and that bag is bee-u-tee-ful! pick me! What a beautiful bag..and surprises as well !! How fantastic ..Id love to win. oh, how much i love your wrap! the color is gorgeous, and so is the yarn, cut, brooch and photo. and i want to wish you a belated HAPPY BIRTHDAY!!!!! Hooked bag that you MADE? Wow! Is is beautiful! what a beautiful bag. sign me up for the giveaway please. very belated happy birthday! been offline for a bit- needed a internet break. Hope it's not too late to enter - I would love the bag. I so want to try rug hooking. Belated Happy B-day and congrats on the Shadow - elegant. t..i know how talented you are in your photography, and with your gift of the spoken word, but your talent with the needles, hooks, and such, makes me sigh with utter admiration at your endless talent! What a beautiful creation and generous thought. I missed the timing of this one, but was equally blessed by coming across this site and this act of grace that helps to remind me that in spite of what the news reports, random acts of kindness still do happen!